NASA's James Webb Space Telescope will use its tools to study the Red Sea on Jupiter in an attempt to learn more about this mysterious storm on the giant giant. Leigh Fletcher, a researcher at Leicester University in the UK, will lead the study, writes Phys. The team is part of a wider effort to study more Solar System phenomena with this space telescope, all led by astronomer Heidi Hammer, vice president of the AURA (Association of Universities for Research in Astronomy). "Webb's infrared sensors will be complementary to Hubble's telescope studies made in visible lights of the Red Sea," Hammel said. "Hubble's images have revealed significant changes in storm size over the decades." Fletcher and his team are planning to use the MIRI tool to create the Red Sea's multispectral maps and to analyze the clouds from a chemical, thermal and structural point of view. Scientists will be able to see the infrared wavelengths that can reveal why the stain has this color, which is often attributed to the ultraviolet radiation of the Sun interacting with the nitrogen, sulfur and phosphorus compounds in the clouds that are rising from the deeper atmosphere of the giant of powerful storm currents. 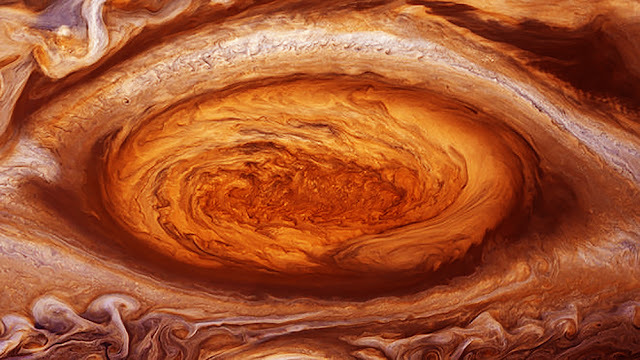 The observations will also help to find out if Red Sea generates heat that releases it in Jupiter's upper atmosphere, a phenomenon that could explain the reason for the high temperatures in that region. Recent NASA-funded studies have shown that the interaction between gravity waves and storm waves can generate the heat, and Fletcer argues that the new study can gather data to support this theory.